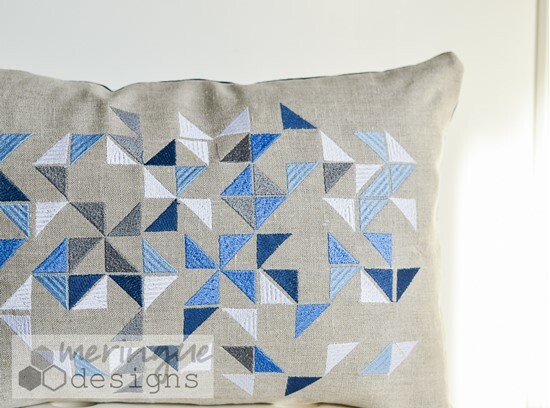 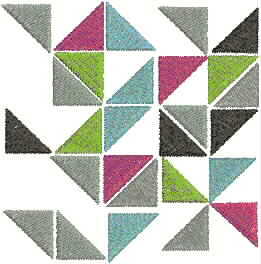 There is a quilting technique called 'half square triangles'. You can make infinite patterns with just a bunch of right triangles. 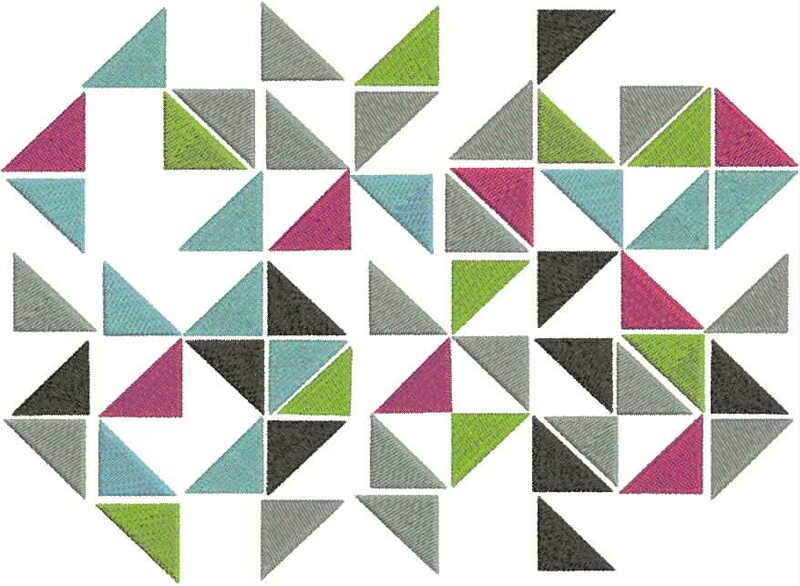 This pattern seems to be a bunch of random triangles scattered when in fact you can make out a few patterns. 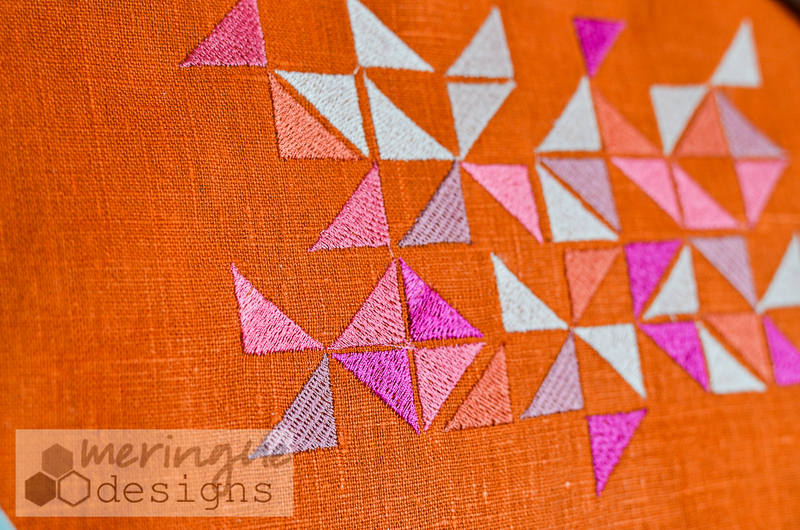 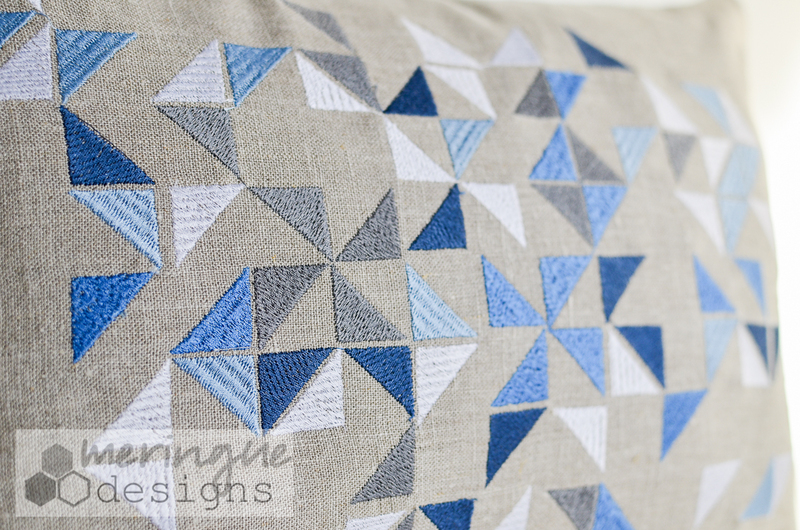 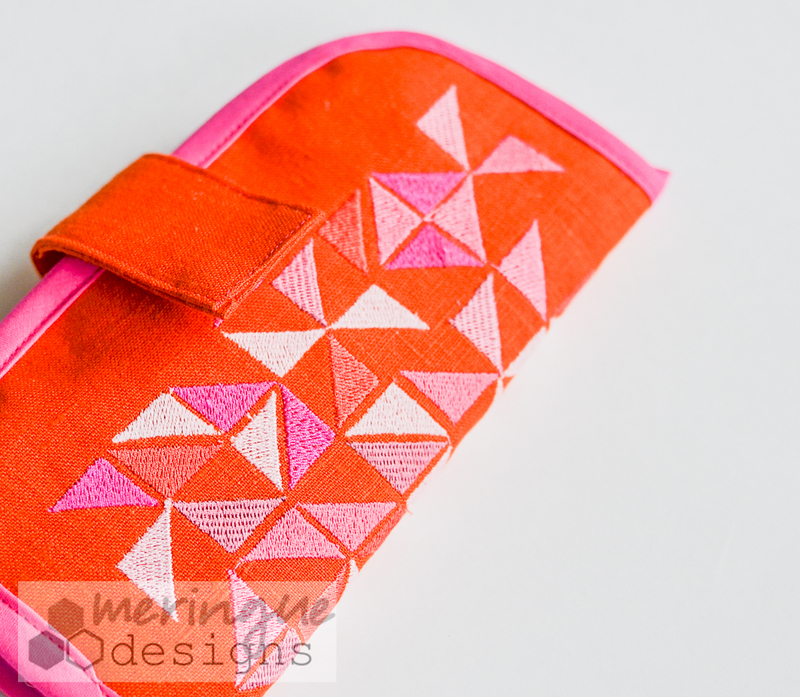 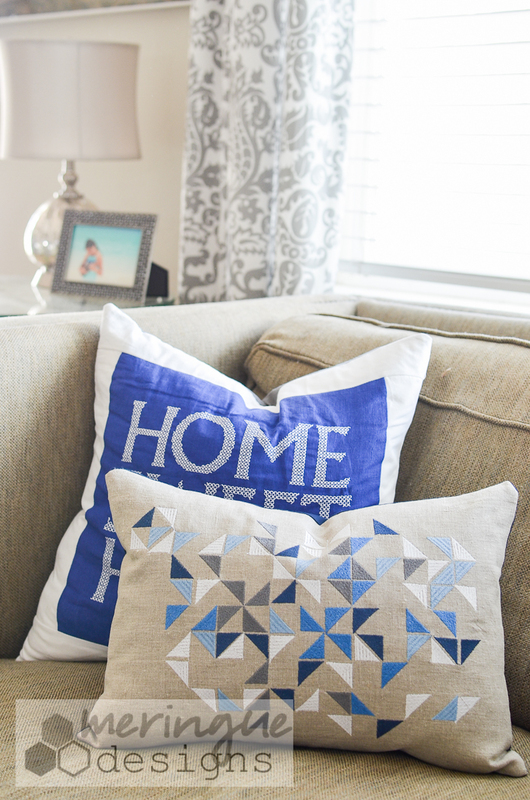 Some of the fill styles vary on the triangles to give a fun textured effect. 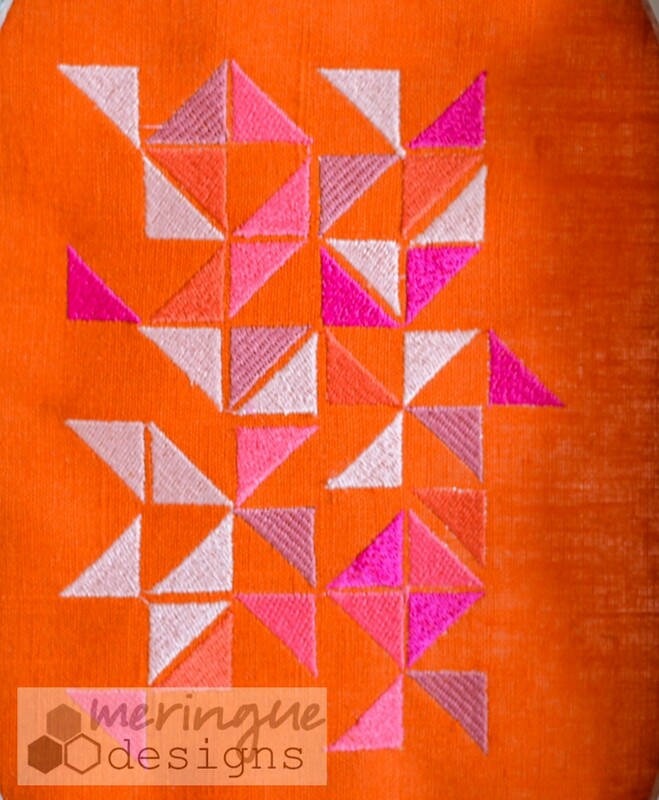 *The orange linen was embroidered with all shades of pink ranging from dark to light. 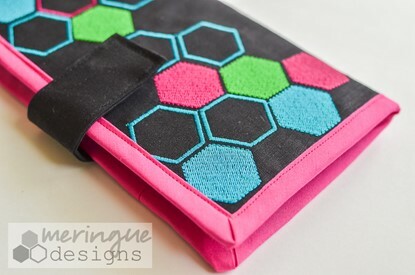 *Tutorial for the wallet can be found on the blog. 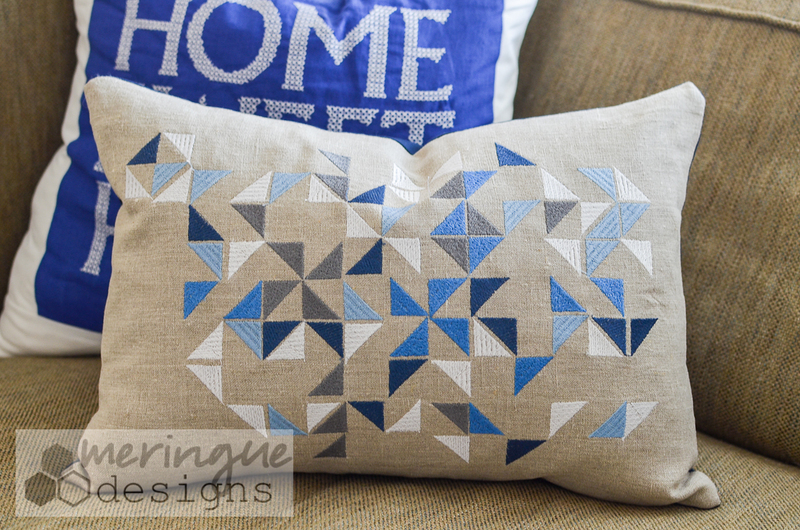 *Pillow pictured is 12x17 and uses the 9x14 size. 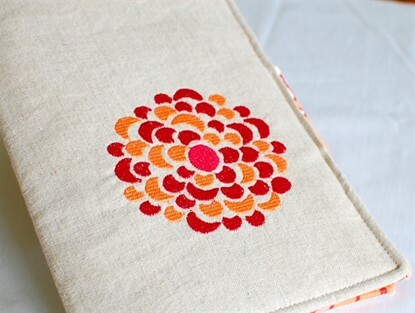 Two-toned abstract flower in 2 sizes.